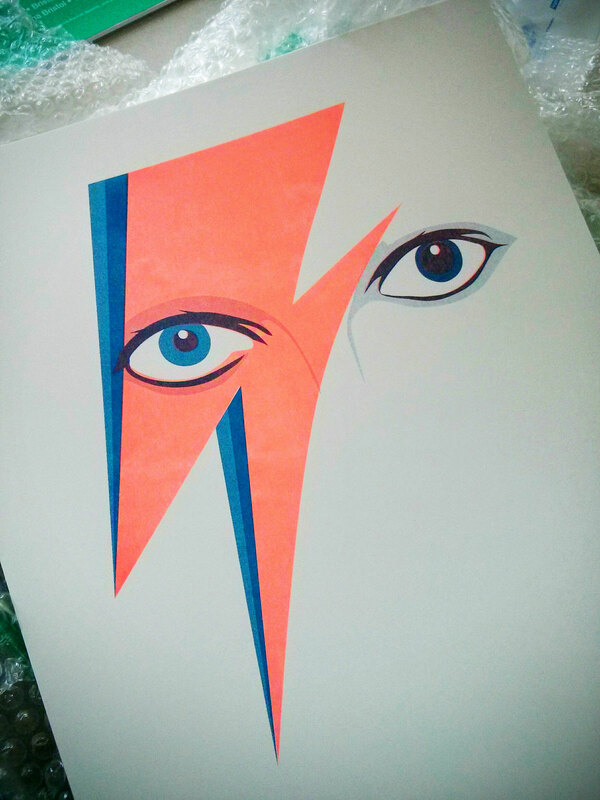 Very excited to open my box of new Bowie risograph prints, printed by Hato Press. This print will be available for sale soon on Etsy, or contact me for more info, or to pre order. I’m a bit falling in love with this printing technique, love the little imperfections, areas of overprint, little distortions. Each one is unique. Expect more of this kind of thing. Bowie Mural – In The Press.